We put health data to work. 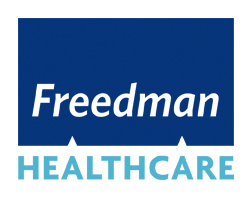 Freedman HealthCare brings thought leadership, technical expertise, and project management to All Payer Claims Databases and Regional Health Improvement Collaboratives from Massachusetts to Hawaii. Freedman HealthCare helps clients integrate new data sources, develop measures and use data for performance improvement, public reporting and payment reform. Freedman HealthCare supports clients in forming strong partnerships with those who provide, pay for and use health care. FHC develops the processes and communications necessary for meaningful engagement and rapid progress. We aim to be your source for news and insights in the APCD world, as well as other relevant topics, such as health data, health policy, healthcare financing, and delivery system reform. Are you looking for a deeper dive into the reasons why healthcare costs vary so widely among states? You may want to pay attention to your local health system. Jonathan Mathieu (Freedman HealthCare, formerly CIVHC) discusses the broader purpose, methodology, results, and policy implications of the recent NRHI report on healthcare cost variation in 6 regions. Searching for tips on how to develop a better data quality check approach? Guest author John Bott rediscovers a successful framework for conducting data quality checks. beginning to produce real data! data that Freedman HealthCare brings to the table have been critical to the success of our project.